When you look at an Intel CPU straight out of its packaging, you'll see a large piece of metal sitting on top of a piece of silicon. That piece of metal isn't actually the CPU itself, rather a heat spreader that provides better contact between the die and the heatsink. When you remove the heat spreader in a process known as 'delidding', you expose the CPU die underneath. As you'll see from PC Watch's photo above, Intel's flagship 'Skylake' CPU, the Core i7-6700K, doesn't occupy much physical space on the processor's PCB; in fact it's smaller than most of Intel's previous CPUs such as Haswell, Ivy Bridge and even Broadwell. The reason why the Core i7-6700K is so small is that it's built using a 14nm manufacturing process, which allows Intel to cram the same amount of transistors as previous generation 22nm chips into a smaller physical area. Skylake features fewer GPU execution units than Broadwell, which is also built using a 14nm process, making its die smaller in comparison. 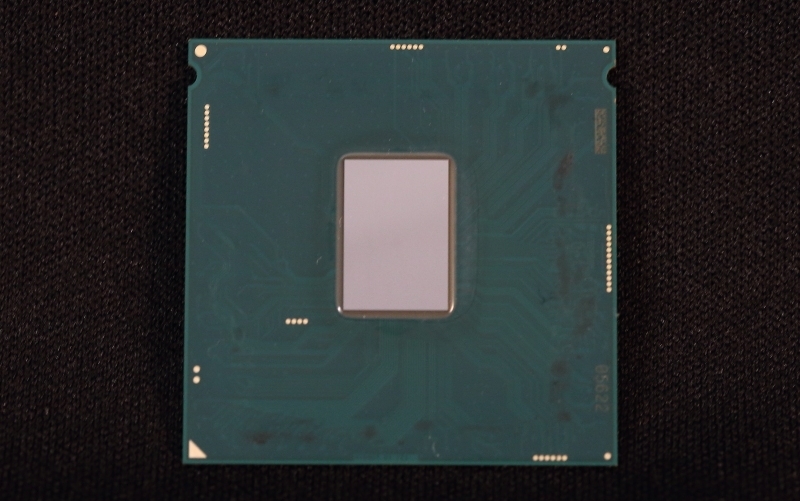 PC Watch decided to delid the i7-6700K to test the thermal interface material (TIM) Intel uses between the heat spreader and the die. The TIM is something Intel improved in the 'Devil's Canyon' Core i7-4790K after feedback from enthusiasts, but it appears as though a different material has been used for Intel's Skylake CPUs. When replacing the stock TIM with two aftermarket solutions – Prolimatech PK-3, and Coollaboratory Liquid Pro – PC Watch noted temperature improvements at stock clock speeds and while overclocked. The Liquid Pro's liquid metal alloy was especially effective, dropping temperatures by 20°C while overclocked. Although PC Watch did experience better thermal performance by switching out the TIM underneath Skylake's heat spreader, it's not exactly a simple process. Delidding a CPU isn't a simple process, and if not enough care is taken it could damage the CPU itself. But if you're an enthusiast and want to give it a try, it is possible to lower your CPU temperatures by replacing what sits between the heat spreader and CPU die. Buy $350+tax CPU, to find few $ savings on TIM? No, of course not, Intel is artificially positioning their CPUs. But without real competition from AMD, they could put horse manure in there and You would buy it if in need of a new CPU. Amazing how far the tech has developed (physical size:capacity). I remember a machine I disassembled a few years back that was built when the Pentium II was cutting edge. Couldn't believe the size and capability of the processing unit compared to what was in my phone, having remembered the P2 being much smaller. How does AMD do this? 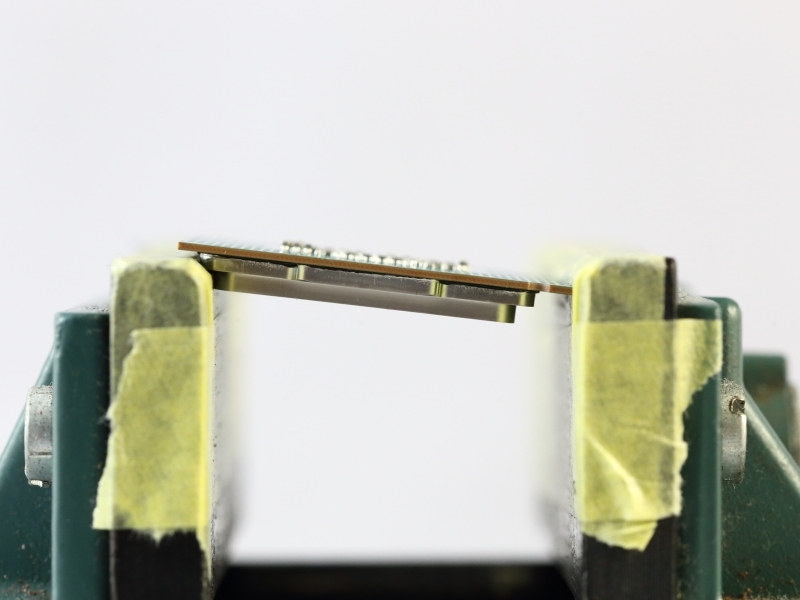 A TIM which improves thermal conduction might mean significant performance gain. Hats off to Coollaboratory Liquid Pro (which an Amazon Q/A indicates is electrically conductive and may be problematic for a 'de-lid') and Prolimatech PK-3. If such improvements can be gained by this simple built in piece of metal why not make it better then the stock. sell me a cpu with after market level TIM right from the box. if it means I could overclock more ill pay more. casual users could care less but a certain percentage will pay for better. >The Liquid Pro's liquid metal alloy was especially effective, dropping temperatures by 20°C while overclocked. Hi. Longtime PC OC'er here. There is no way changing the TIM comes anywhere close to making a 20C difference. >The Liquid Pro's liquid metal alloy was especially effective, dropping temperatures by 20Â°C while overclocked.